An advanced and complete Arduino Car Kit. Various components and sensors are included, feel free to play with your own Arduino Car. Note: This item does not include the 18650 batteries needed to run the car. You might to purchase from your local battery seller separately. 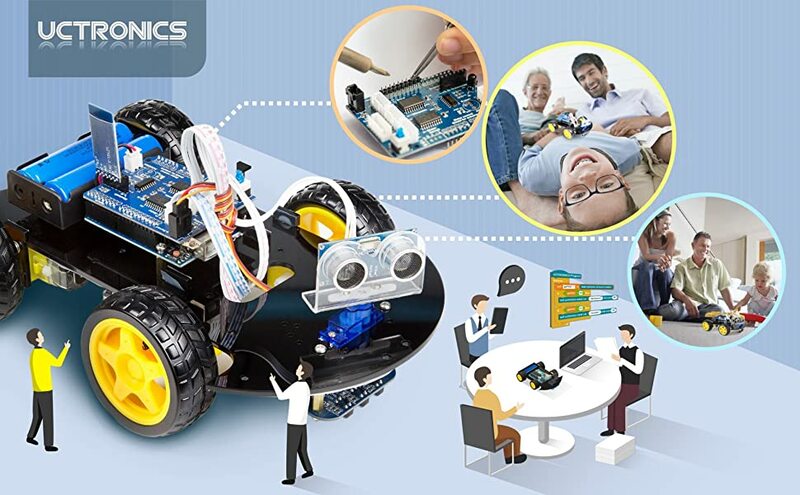 START AND CREATE - Get started with and challenge yourself in robotics, electronic components assembling, and Arduino programming.  COMPLETE SETS OF MODULES - UNO R3 board for Arduino, Bluetooth and line tracking module, ultrasonic sensor, motor drive board, 9g micro servo motor, etc. Charger is also included, almost everything needed to run the car in the package. 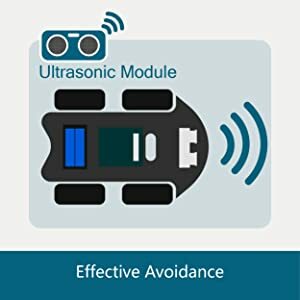 With the ultrasonic module, your car is able to detect objects in front of it and plan a route to avoid that obstacle. 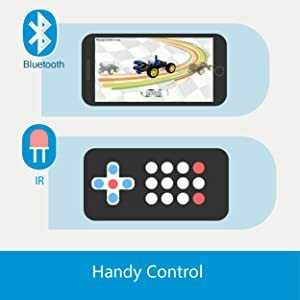 Thanks to the Bluetooth module and an IR receiver, you get to control the car either with a remote control or an Android app “Robot Car Kit” available at Google Play. 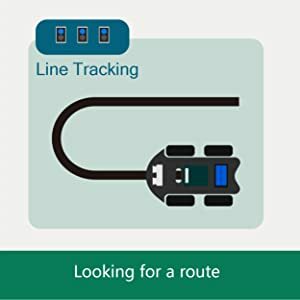 Apart from avoiding obstacles, it can also follow a black line with its line tracking sensor. 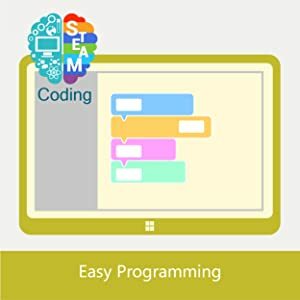 You can also upload your own codes to the car to program how it works, and all that can be done with the Arduino IDE or a visual programming software based on Scratch.